Injuries are always a concern on construction projects due to the inherent risks associated with performing work on a project. Owners, in particular, should be concerned with injuries on their project because they are sometimes sued for negligence under theories of premises liability when injuries are sustained on their project. In order to best allocate the risk of injuries, owners should, among other things, contractually (i) specify that the contractor is performing work as an independent contractor, (ii) specify that the contractor is solely responsible for its means and methods of construction, (iii) specify the contractor’s scope of work, especially if the scope is unrelated to new construction, but involves a remediation, renovation, repair, or maintenance scope, and (iv) include other provisions concerning the contractor’s responsibility for safety. This is beside the owner ensuring that the contractor has sufficient liability insurance and workers compensation insurance prior to the contractor performing any work. The case of Strickland v. Timco Aviation Services, Inc., 36 Fla. L. Weekly D1420a (Fla. 1st DCA 2011), discusses an owner’s potential liability for injuries sustained to its contractor’s employee. 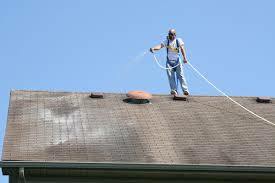 In this case, an owner hired a contractor to pressure wash the roof of an airplane hangar and perform maintenance to the skylights on the roof. While the contractor’s employee was pressure washing the roof, he accidentally got chemical in his eyes causing him to step on a skylight and fall five stories to the ground. The employee sued his employer (the contractor) in addition to the owner alleging that the owner was negligent because, among other reasons, the skylights could not withstand 200 pounds of pressure and were indistinguishable from the roof. “Generally, a property owner who employs an independent contractor to perform work on his property will not be held liable for injuries sustained by the employee of an independent contractor during the performance of the work. However, there are two exceptions to the general rule. An owner can be held liable for damages sustained by an employee of an independent contractor where (1) the property owner actively participates in or exercises direct control over the work; or (2) the property owner negligently creates or negligently approves a dangerous condition. Moreover, the property owner must maintain the premises in a reasonably safe condition for business invitees, including employees of independent contractors.” See Timco (internal citations omitted). Under the first exception, an owner can be liable if it imposes “such right of supervision or direction that the contractor is not entirely free to do the work his own way.” See Timco quoting City of Miami v. Perez, 509 So.2d 343, 346 (Fla. 3d DCA 1987). Under the second exception, an owner can be held liable if the owner negligently creates or negligently approves the dangerous condition causing the injury. See Timco quoting City of Miami, 509 So.2d at 346. However, even under this exception, an owner “will be held liable for negligence only with regard to those dangers that are not known to the independent contractor or could not have been discovered through the exercise of due care.” See Timco citing Florida Power & Light Co. v. Robinson, 68 So.2d 406, 411 (Fla. 1953). In Timco, the First District affirmed summary judgment in favor of the owner holding the owner not liable for the contractor’s employee’s injuries. The Court held that the danger of falling through the skylights was an obvious risk considering the contractor was hired to perform maintenance and repair work to the skylights. The owner did not have any duty to notify the contractor of the risks posed by performing work on the skylights since this was an integral part of the contractor’s scope of work. Further, the Court held that the owner had no liability due to the employee’s argument that the skylights could not withstand 200 pounds of pressure because there was nothing to suggest the owner knew or should have known of this alleged design defect. The risk of injuries is one of the many risks that owners consider when hiring a contractor to perform work — any scope of work — on their project. Ensuring that such risks are contemplated and best allocated is vital and a chief reason why attorneys should be utilized in the drafting of construction contracts. If an owner has knowledge of a dangerous condition on their property, they should warn and notify the contractor they are hiring as well as their attorney so that this risk can be addressed in the contract. Notwithstanding, an owner should certainly not engage in any specific act during construction or immediately prior to construction that can cause or increase the risk of injury on their project. This entry was posted in Premise Liability, safety and tagged construction safety, negligence, premise liability by David Adelstein. Bookmark the permalink.